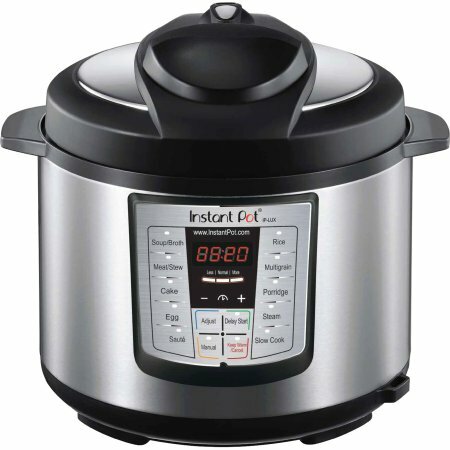 Today ONLY – this Instant Pot 8 Qt 7-in-1 Multi- Use Programmable Pressure Cooker, Slow Cooker, Rice Cooker, Steamer, Sauté, Yogurt Maker and Warmer $81.99 (Retail $129.95). This is the largest size we have seen and this is a great price! -Accessories include stainless steel steam rack with handles, rice paddle, soup spoon, measuring cup, condensation collector and recipe booklet. To maximize performance of cooker only use genuine Instant Pot accessories.